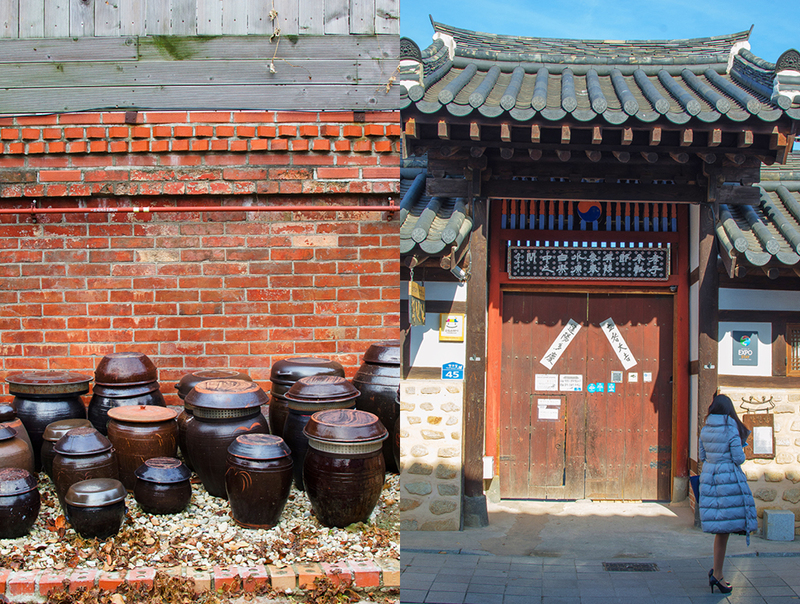 A city founded on its legendary access to the cleanest and most pure water, Jeonju was the birthplace of the Joseon Empire, which reigned for five centuries. How can the qualities of water inspire an empire? Well, pure water makes the brightest, finest and most durable paper, and an empire spreads its influence with the documents it produces. So out of the wellspring of Jeonju flowed the story of an empire, capturing the attention of all the surrounding territories. 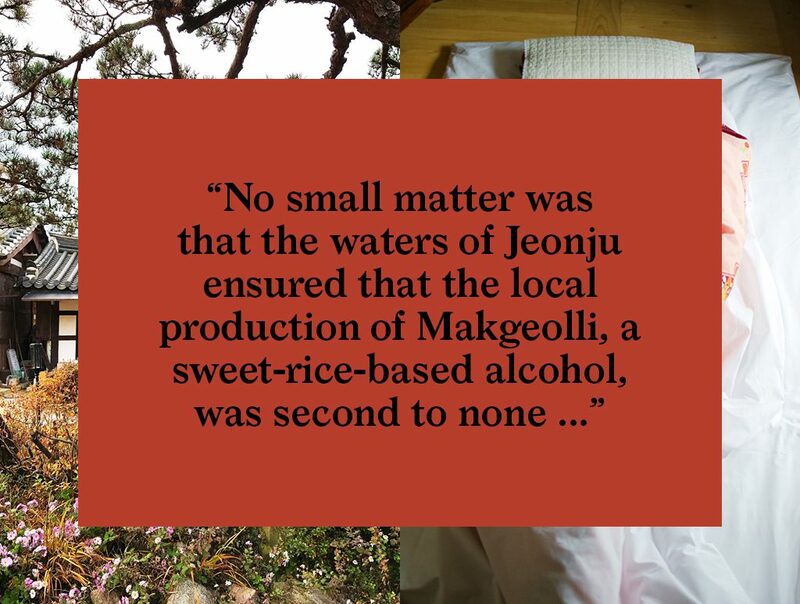 And it was no small matter that the waters of Jeonju ensured that the local production of Makgeolli, a sweet-rice-based alcohol, was second to none. So, virtue or vice? Both it would seem played a role in propelling the Joseon Empire to greatness. Naturally, with the city of Jeonju being a center of wealth and prestige, its urban development was top quality and, consequently, durable. So today it stands out as one of the few places visitors can get a taste of life as the Koreans of old would have lived it. From palace to humble home, shops to tea houses, all is on display to aid you in your journey back in time. Sadly, during the 1970s, as Korea transitioned from a rural society to a modern high-tech industrial powerhouse, many of the traditional homes, or Hanoks as they are called, were demolished to make room for modern high-rise buildings to house the ever-growing population. 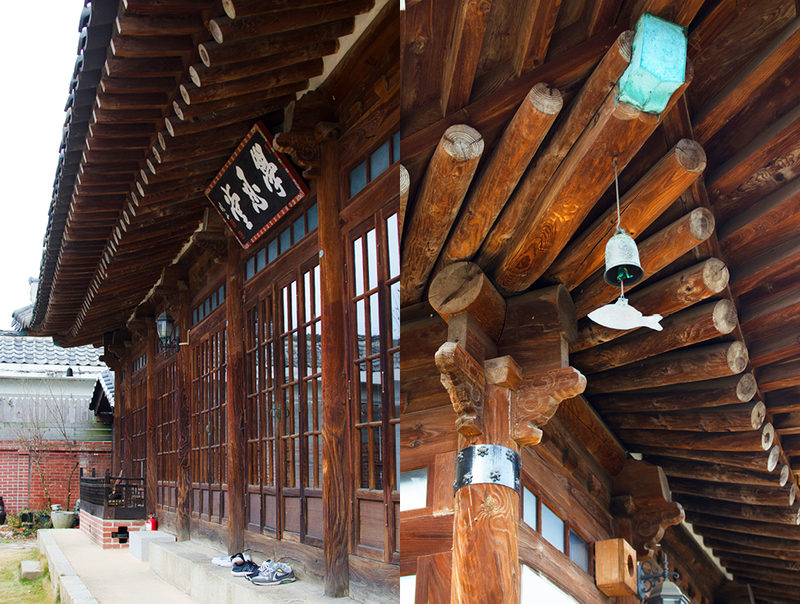 It wasn’t until around 2000 that Koreans began to look more closely at their past and had a renewed interest in the traditional architecture of Hanoks. 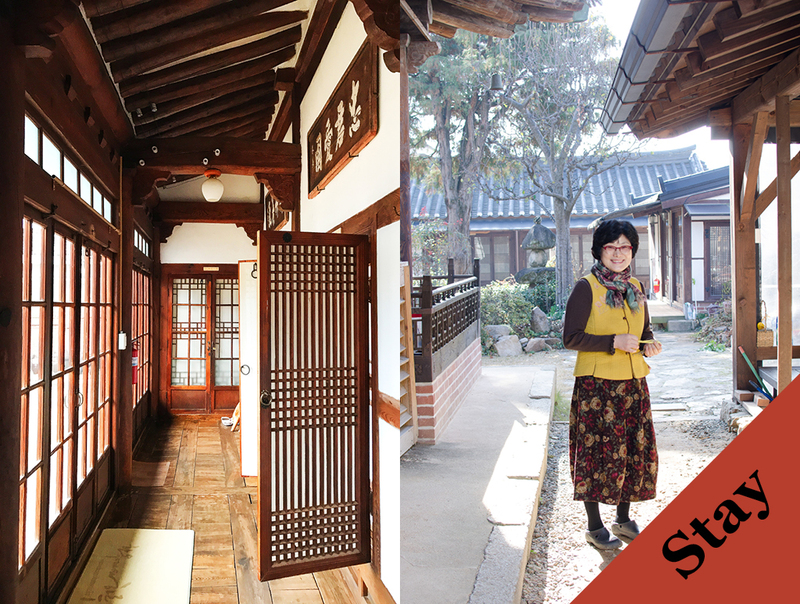 Many have been restored, and people of means are once again choosing to live Hanok-style to get back to tradition. 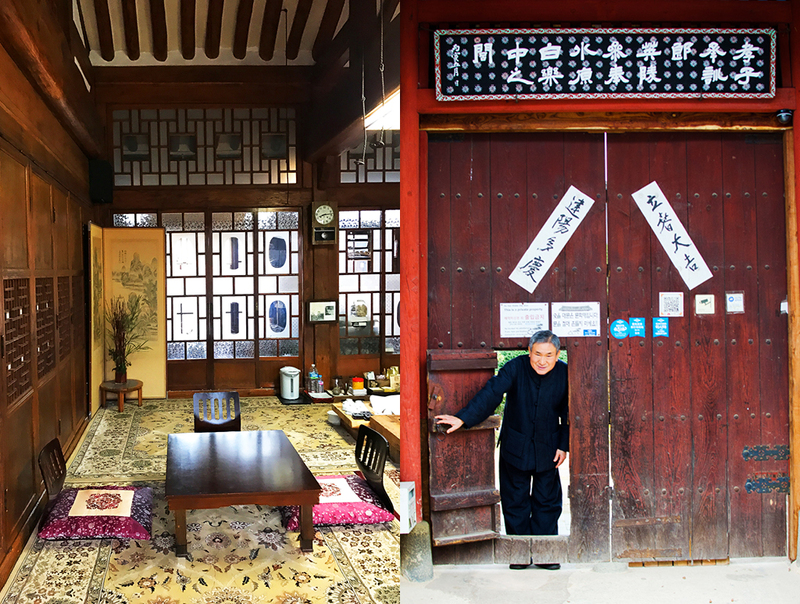 Some Hanoks now open their doors to curious tourists and Korean visitors, and the “Hanok Bed and Breakfast” has become a popular destination for spending a few days away from the city. 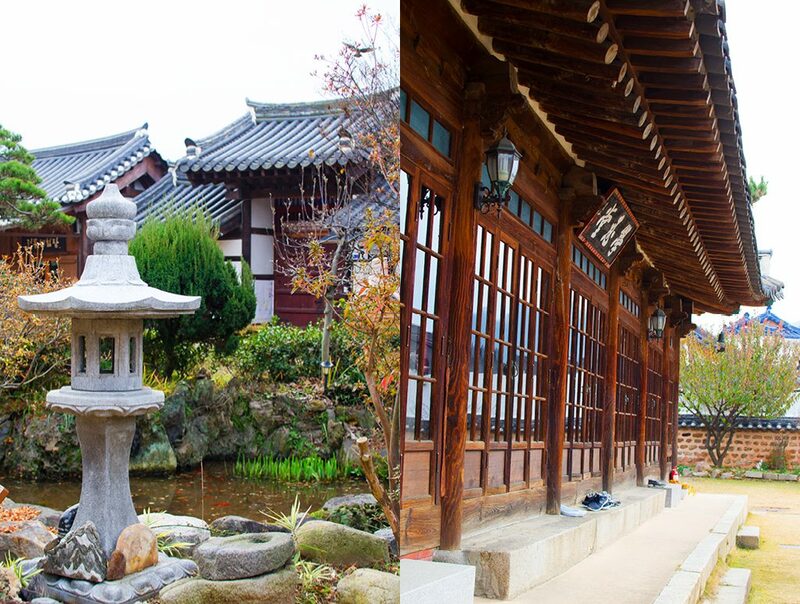 The term “Hanok” describes not only the structure of traditional Korean houses, but also their settings, their layouts, and how they relate to the seasons. A proper Hanok would be set against a mountain and face a river so that the energy would flow properly through the compound. This principal is called “Baesanimsu” or “Hanja” in Korean, which literally means ideal house. In cooler areas, Hanoks are built in a closed square to better retain the heat. In southern areas where the weather is warmer, they are laid out in an open “I“ form to allow air to flow more easily. And where extra heat is needed in the winter, Koreans were one of the first cultures to develop a system for smoke-free indoor heating. The technique was known as “Ondol” and consisted of heating rocks that in turn warmed the floors of sleeping rooms, the smoke drawn out by chimneys well away from the building. Nowadays, floor heat in the old Hanoks is still in use, but the chimneys are mostly unused remnants, replaced by more efficient electrical floor heating. 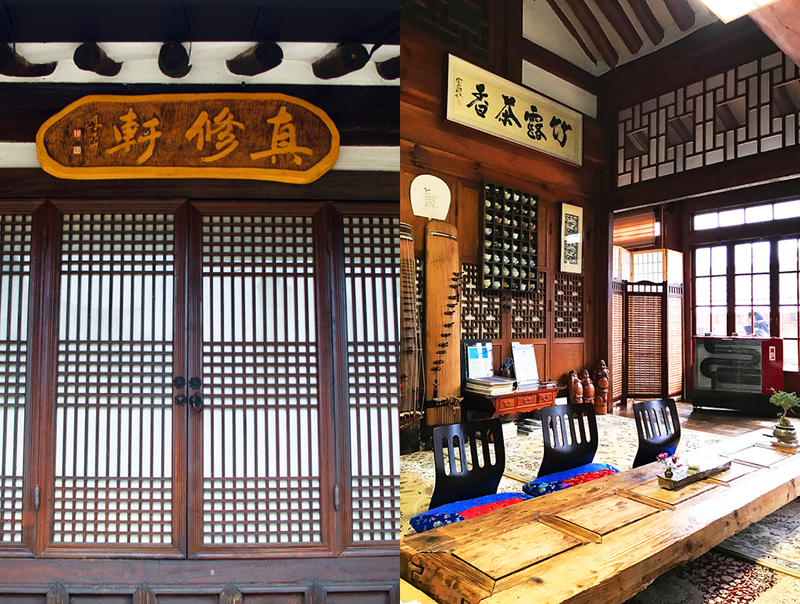 We were fortunate to spend one night at “Hagindang”, a beautiful 100-year-old stately Hanok, that was once the home of an important Jeonju government official called Baek Nak-joong. 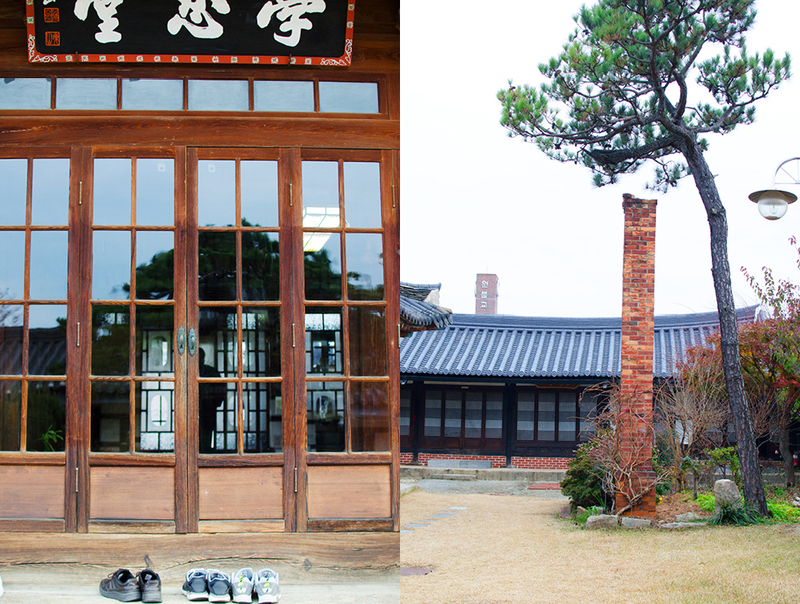 Today Hagindang is still run by the Baek-Nak-joong family. Upon entering the Hagindang Hanok, the mood is set by the quietly playing “Gugak”, traditional Korean music. 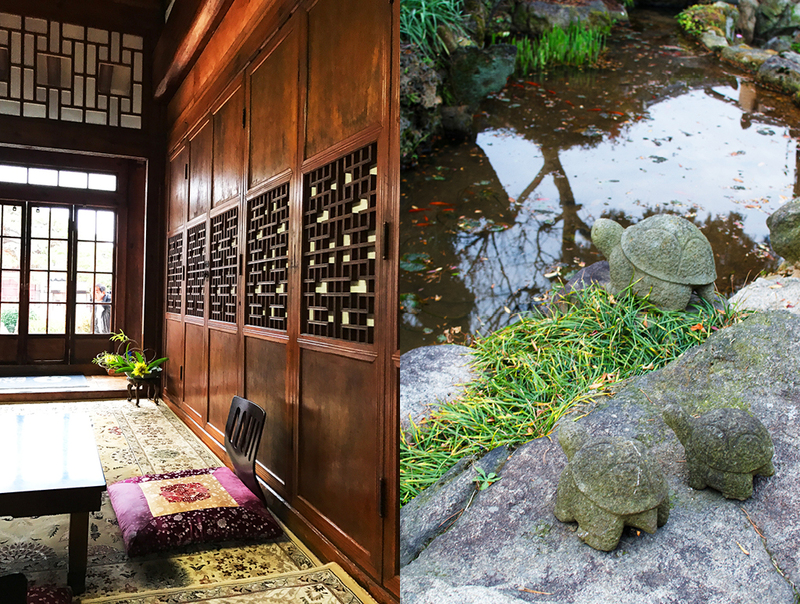 A garden and Koi pond occupy the entry courtyard, and small bells, strategically placed around the property, chime here and there as the wind catches them—a peaceful setting, even on a cold winter’s day, as it was for our arrival. Hagindang has several room options. At the center of the compound, the main house offers three rooms, with its own living room where breakfast is served. Beyond the main house is a block of additional rooms which were formerly the living quarters of the family. Per custom, shoes are left at the door as your enter through sliding screens into a hallway and beyond to your room. 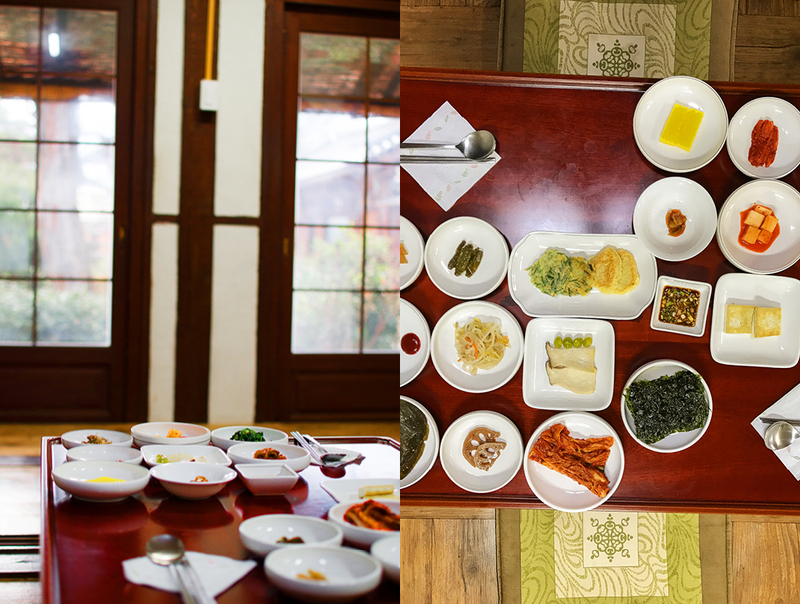 This was our first traditional Korean Hanok experience and at first, we were confused by the lack of a bed in our room. But we quickly worked out that rolled up at the side of the room was a bed consisting of a futon-like mattress and comforter, covered with perfectly starched white linens and a small neck pillow that you unroll when ready to sleep. 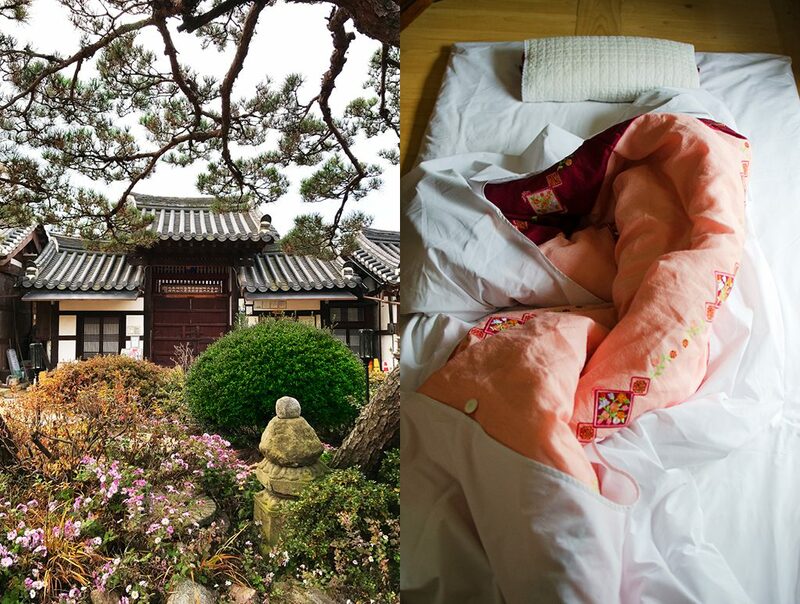 With our two beds unrolled on the toasty heated floor, we were ready to call it a night and quickly drifted off into Hanok dreamland. The next morning we rose early and made our way to the breakfast room where we greeted our fellow guests and the kitchen team, with traditional Korean bow. Being the only Western tourists on this day, we were met with warm greetings and gentle instruction on how to navigate the breakfast ritual. We take our seats at the low tables that are covered with a collection of classic white Korean porcelain dishes containing Kimchi, fish sauces and pickles. Freshly prepared little pancakes hot off the grill, and bowls of warm rice and tea were brought out as we sat. 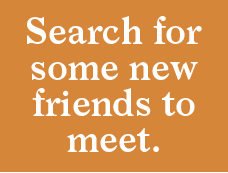 Noticing our confusion, our neighbors at the adjacent table showed us the ropes, gesturing what sauce to put on what. With no English spoken it all went amazingly well. 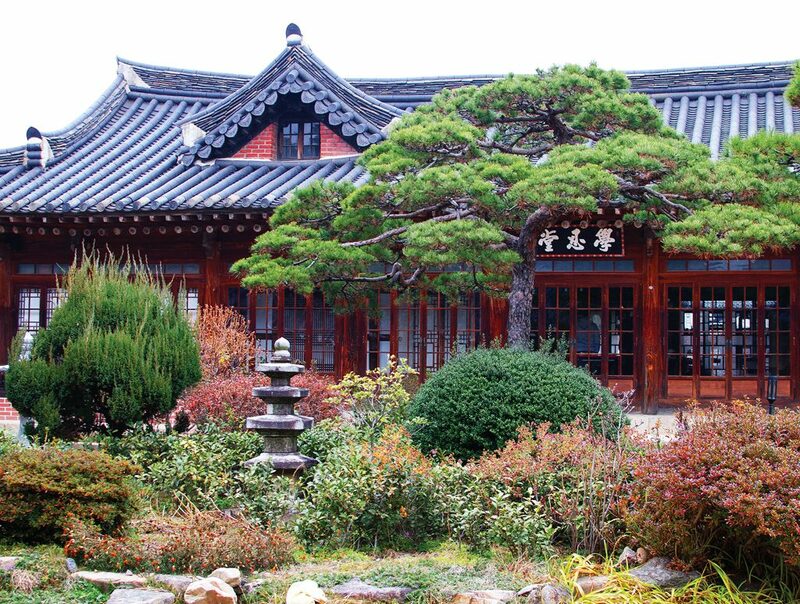 With a deeper understanding of Korean culture, having lived for a night as Koreans of old, we take another stroll around the garden before packing up for more Jeonju adventures. Planning a trip to Jeonju, Korea? Here is the current weather and what to expect for the next few days.